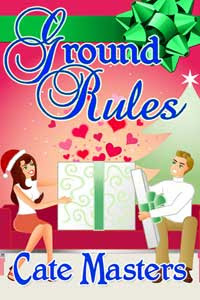 My Christmas fantasy, Ground Rules, is now out with The Wild Rose Press! Yay! I love holiday stories, especially when they include a little Christmas magic, and a snarky angel. Can a bad boy angel and a dispirited mortal find a Christmas miracle together? Alice Garner scores a great contract to illustrate a children’s book by a famous author, but lack of inspiration forces her to cancel her holiday plans. Alone on Christmas to meet her looming deadline, Alice wishes on her Christmas tree angel for help. Luke, newly promoted to Watcher Angel, is reluctant to take the assignment. Long ago, his fiancée broke his mortal heart on Christmas Eve, and even returning to Earth on his Harley won’t dull the sting. Good thing the ground rules forbid getting involved with an assignment—Alice is tempting, but he’d rather not stay on Earth. But Luke brings Alice more than inspiration. He reawakens her heart. Now Alice has to convince him he’s her greatest wish. With a little Christmas magic, can she convince him to break the ground rules and stay? 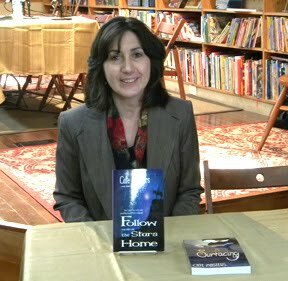 I regularly host authors on my blog, but wanted to provide a place that would feature them more prominently. So I created TBR. The site’s still in construction, as you can see, and won’t officially launch until the new year, but in order for it to launch, I need the participation of authors. 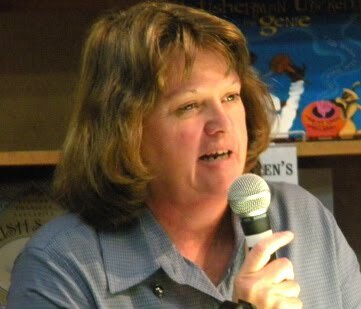 I would love to feature your work on TBR. To book a guest date on TBR, first check the available dates listed under the 2012 Schedule tab. After selecting a date, email me at tbrtheblog [at] gmail.com to reserve yours. The new year's approaching fast, so I'll be putting an open invitation out on the general loops, but if you want to reserve a date, just let me know when and I'll gladly list your name beside it. I'm hoping to make this a nurturing community for authors and readers alike, but to do that, I'll need followers and lots of them. I hope you'll support TBR with a follow, and perhaps help promote it after it launches on January 2. 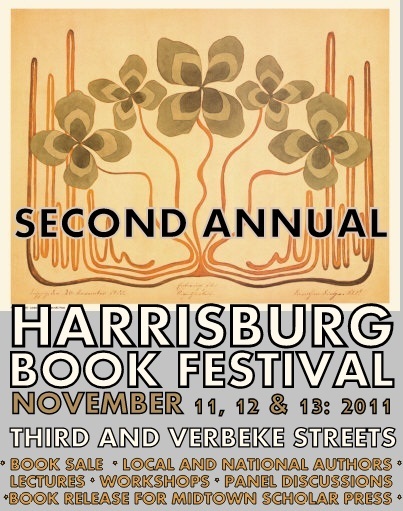 Help spread the word about TBR! And visit often to find great reads. I finished the first draft of my novel on Saturday, meeting my NaNoWriMo goal nearly two weeks early. I hadn't started this novel on November 1; I had, in fact been working on it in one form (synopsis, new pages) or another (critique group, revisions) for three years. While it wasn't the only thing I wrote in three years, it did take up a lot of my writing time. In addition, it lurked in my subconscious throughout those three years as I worked out where those characters would go and what they would do and what would happen after they did it. Even though I've typed "THE END," I know it isn't. I'm not satisfied with the last chapter, and it's been so long since I've read some of the earlier chapters, I'm sure there's work to do there as well. Add to that the fact that this draft is well over the desired word count, and I know that serious cutting and revisions lie ahead. And so now, the hardest thing to do is the thing I know I have to do: leave it alone. Let it rest. Fight the urge to tweak this and twist that, to cut scenes wholesale so those numbers end up closer to where I want them. And if I do leave it alone (as I should), what will I do? Resurrect an old project? Create a backlog of blogs? Start something new altogether? A few weeks ago, before I realized that I'd hit this goal quite so quickly, I thought I knew exactly which project I would return to. But what seemed so tempting then seems less enticing now. I find myself having tremendous difficulty walking away from the characters who have populated the page in front of me for so long. So, to my fellow writers of fiction: what do you do after you finish your first draft? Many readers love to read series. Lots of writers enjoy writing series. I personally fit both profiles. In my fantasy series, The Futhark Chronicles, the books are a continuous story. The same characters are the main protagonists throughout all four books. They're fighting the same battle from the first page until the last chapter. Like in most epic fantasy series, you enjoy the books more if you read them in order. My romance series, on the other hand, while it takes place in the same dystopian world, can be enjoyed not matter what order you read them in. In fact, if you read the last book in the series first, One Good Woman, you'll hopefully want to read the books preceding it. The Greater Good started the series followed by The Lesser Evil and A Ruthless Good. The hero of One Good Woman, Brady Gellot, was introduced in The Lesser Evil but the heroine of OGW, Cara, first appeared in The Greater Good. She was of those strong but vulnerable women you can't help but love. My publisher is offering a One Good Woman at a special low price of only $1.99 starting today. For that price, I hope lots of you can try out this romance series and read Brady's and Cara's story. I like four book series though I'm a fan of some very, very long fantasy book series. How long do you think a book series should be? Are you willing to try a new author if the price is right like that reasonable $1.99? 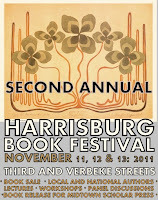 Thanks again to Catherine Lawrence at The Midtown Scholar for organizing such a wonderful event - the Second Annual Harrisburg Book Festival. We look forward to many more such events in the future. The Midtown's an amazingly beautiful venue, and I encourage you to visit. 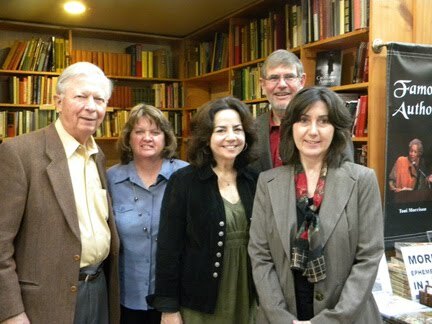 If you're interested in buying our books, many of us have left several copies on hand at The Midtown Scholar. 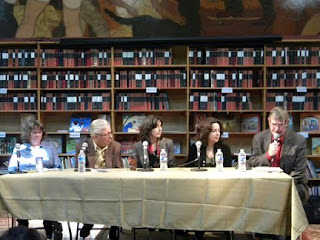 Below are some pictures from yesterday's panel titled The Path to Publication. Special thanks to Don Helin for helping to organize it! 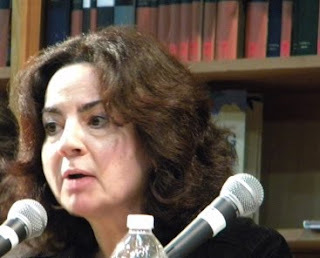 Tomorrow I'll post the text of my presentation on ebooks on my blog, expanded to cover the topic of blogging basics, as time constraints didn't allow me to cover it yesterday. Thanks again to all who attended this wonderful event. Short Stories are a hard sell. Not only are there very few markets, but also many of the markets fade in and out of existence faster than my daughter's crushes. It is for the most part a one time deal. Publishers want first time rights. 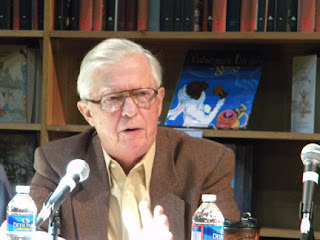 Your story is bought, published for a spell, and then the rights are returned to the author. This makes for a crowded filing cabinet. Very few markets, if any, buy second rights. So, there are two options. The first, you can keep the story in the filing cabinet where nobody will ever read it again, or you can take it upon yourself to republish the stories and increase your readership. 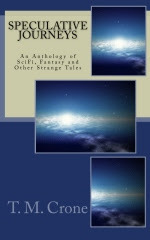 That is why I chose to publish SPECULATIVE JOURNEYS: An Anthology of SciFi, Fantasy and other Strange Tales. Explore the strange and endless possibilities of the future. How desperate will humans become? Where will exploration, science and politics lead us? What will be the warning signs of the end? Regardless of where you go to seek answers, a distant moon, the back streets of a dystopian society, a grave, the stories in SPECULATIVE JOURNEYS will keep you wandering.